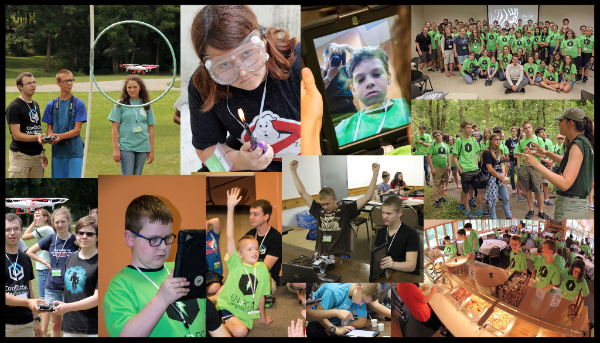 We constantly hear folks say how much their children love Camp Infinity, but sometimes it’s hard to come up the funds to send them to our week long overnight teen STEM camp. We are trying to make it as easy as possible so for Ci 5.0 (Summer 2018) here’s what we are doing to help. Register before end of summer (Sept 22) at a greatly reduced rate of $99/month (10 months) plus $99 deposit. That’s a reduction of $310 off the Ci 5.0 rate. After Sept 22, the rate will be $1399. Are you not sure which of our 3 weeks is best for your schedule? NOT A PROBLEM. Just pick the week you think would be best at this point. You will be able to switch to another week AT NO ADDITIONAL COST until May 1, 2018. Would you like to save even more? Have your camper submit one or more scholarship reports (our recent blog Academic Scholarships for Camp Infinity has the details) and they can earn up to an additional $150 off their tuition. They have until May 1 to submit their report(s). Don’t delay. End of summer is only a few weeks away. If you aren’t sure, check out our blog The Science & Math of Summer. To start the registration process, go to our website and select the camp week that is best for your child.